Here LA's Amber Hawkes talks to A Martinez this morning on Take 2 about Hostile vs 'Positive Urbanism'. See you at the California American Planning Association (APA) Conference this weekend! "Lean, Green, Park Planning Machine: Strategies for More Equitable Parks and Open Spaces"
How can cities equitably plan for parks and park systems that serve the needs of all residents? This session will explore ways in which park planning professionals, representing a diversity of expertise, have aligned community needs and desires with innovative funding and design strategies to achieve more impactful open spaces. Moderator: Connie Chung, Director, HR&A Advisors, Inc.
Tonight we will be leading an architectural walking tour in West Hollywood with the Eastside Working Group, to look at what works and doesn't work in terms of urban design, building facades, and new development around the Eastside of West Hollywood. The ideas from the walking tour will inform the Eastside Community Plan. 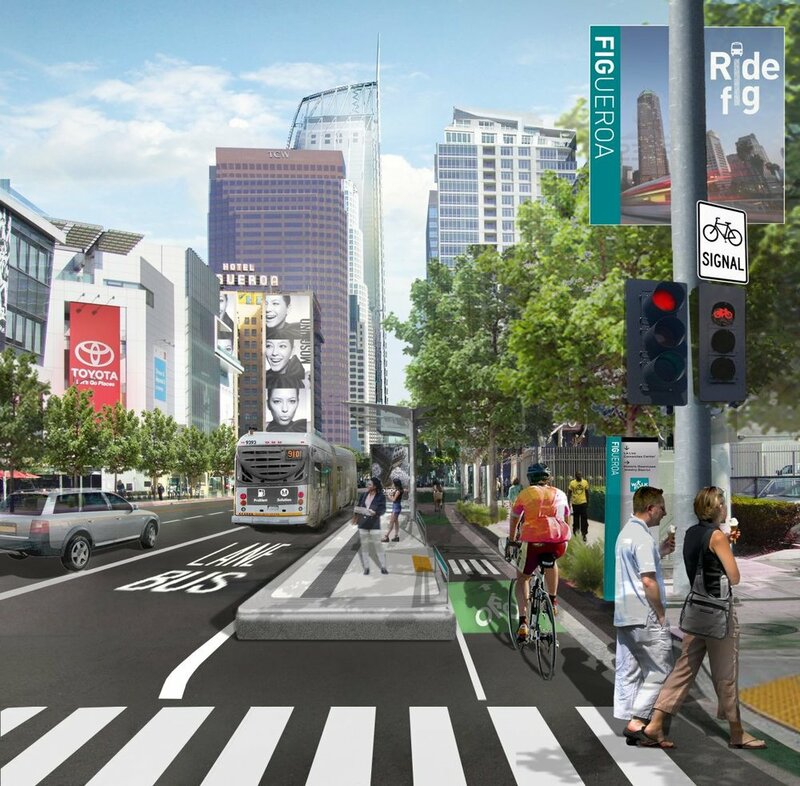 This week Here Design is 're-imagining 10th Street' in Long Beach as part of the the 2nd Council District's push to improve some of the main corridors in the District. The District has earmarked funding for a pilot project to test out some of the ideas in the Plan, which is expected to be complete in July, 2016. So far we are looking at temporary solutions like "bus stop-lets" or temporary sidewalk extensions at bus stops, artful crosswalks, and a community-initiated utility pole painting project to beautify the north side of the street.